Seafood Expo North America/Seafood Processing North America does NOT sell its visitor lists nor send e-mails via Gmail/Yahoo/Hotmail accounts. Companies who do this are not affiliated with the expo in any way. Do not click on any links from e-mails you think may be harmful or suspicious. For more information, visit the Official Vendors section of the website. 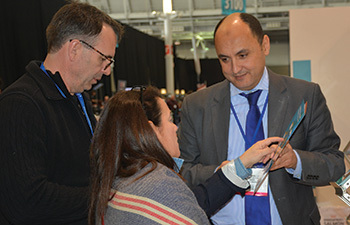 Seafood Expo North America/Seafood Processing North America is a leading trade event for seafood buyers in every market category including retail, restaurant, catering, foodservice and processing. Meet with suppliers from around the world and source the seafood, new products, equipment and services to meet your business needs. 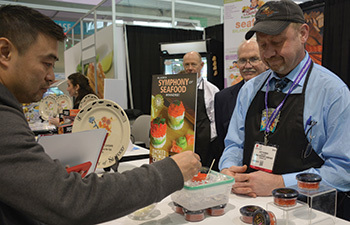 Attendee numbers, attendee quality, special events, conferences, media coverage—by every measure, Seafood Expo North America/Seafood Processing North America provide an incomparable marketplace for reaching seafood buyers and processors in the U.S. and North American market. The 2019 conference program will feature over 25 educational sessions, presented by top industry experts. 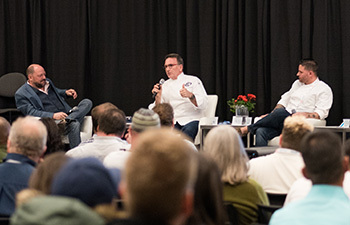 Attendees will take away informative, engaging and practical information covering the most important and timely issues relevant to today’s seafood business environment.